Well I finally finished the wiring to power all the track. The two separate sections (the branch line and the traction freight line) are controlled from their own SPST switches. The crossovers required a little thought and in the end I came up with a couple of schemes to wire them up. I created a third bus not connected to either of the other two sections. The crossovers will always be on and are directly connected to the throttle. In order to control the frog poles I connected them to a DPDT switch and simply flip the switch to power the correct frogs for either direction. This diagram demonstrates the general idea of how the crossovers are powered. I used just one DPDT switch to power all three crossovers. It took a couple of weeks for my bus clamps to arrive so I just carried on dropping wires through the board to eventually connect to the bus. The black is positive, the is red negative and the green (that power the two-pole frogs of the crossovers) will switch between the two poles via a DPDT switch. Powering any lights and accessories around the layout. Before starting wiring I decided to clean up some of the track. I polished down many of the solder joints but importantly I filled in the gaps in the PCB ties and the gaps in the rails in the crossovers. 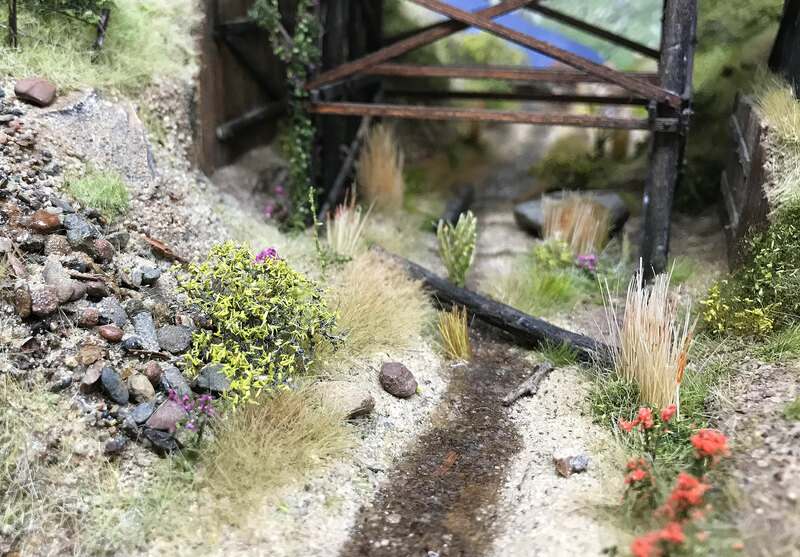 I used Woodland Scenics Foam Putty. It was the easiest to control of the three that I tried. I will be using it to build the ballast profile around and between the track so it didn’t matter if some got between the ties. Once hardened I polished the top of the ties and used my Dremel to remove any foam that got in between the rails. Back to the project afer a short break. I continued to lay missing sections which I then isolated followed by the turnouts and finally the crossovers. The nice thing about working on small modules is the ability to turn them around and work on them from the back. It allows me to get in very close. 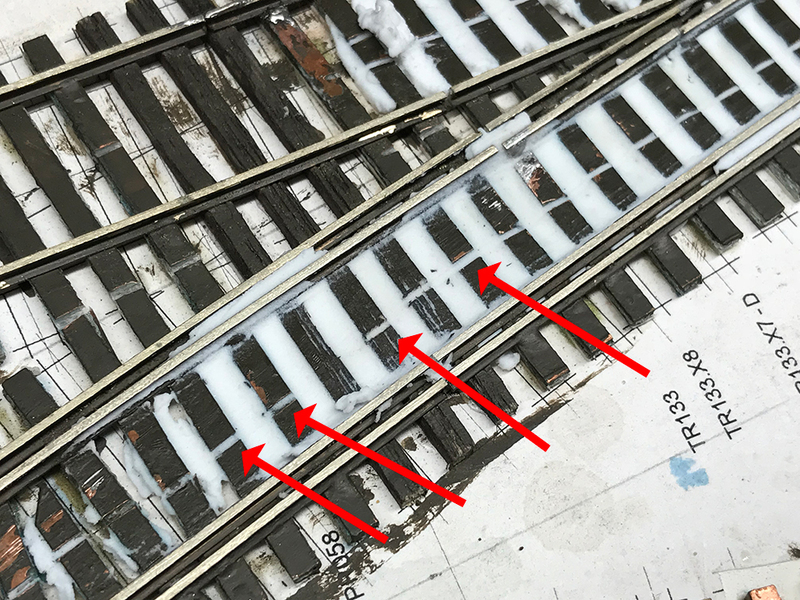 This will be particularly important when detailing the track bed. Here I have turned the module so that I could work on the back side. Lay missing sections of track. 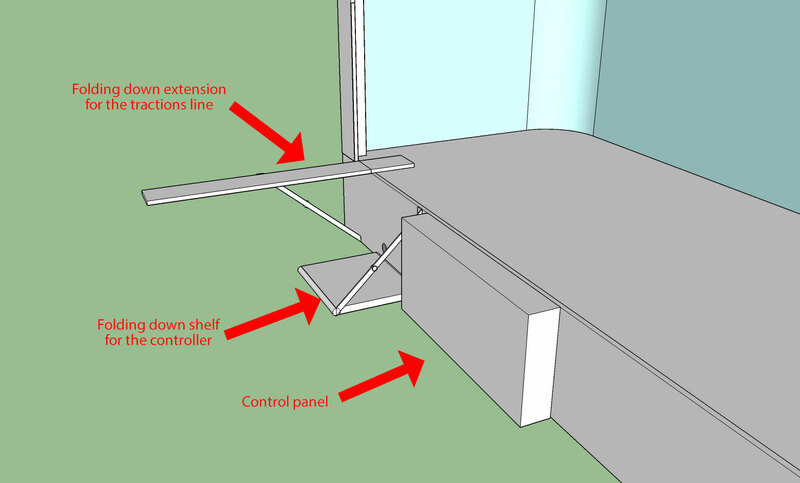 Connect sections to the control panel. Wire up the crossovers and connect them to the control panel. Add the turnout motors and connect them to the control panel. 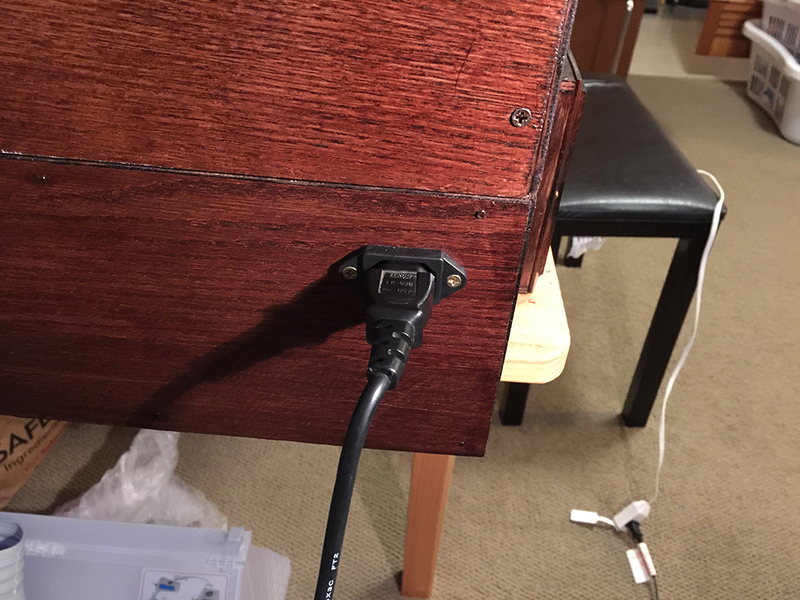 Add three docks to the exit points for the removable cassettes. 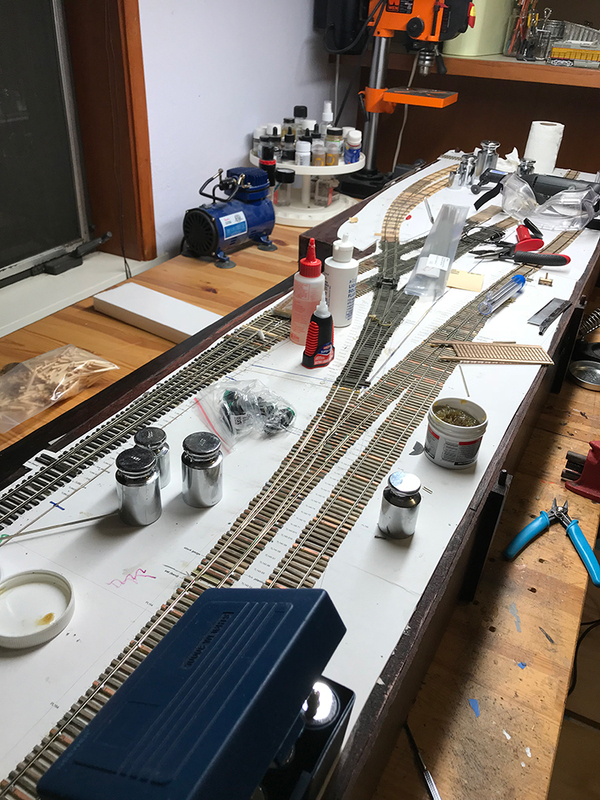 I had previously left several sections to be laid with rail while I focused on the turnouts and the crossovers. I have begun to lay those sections. 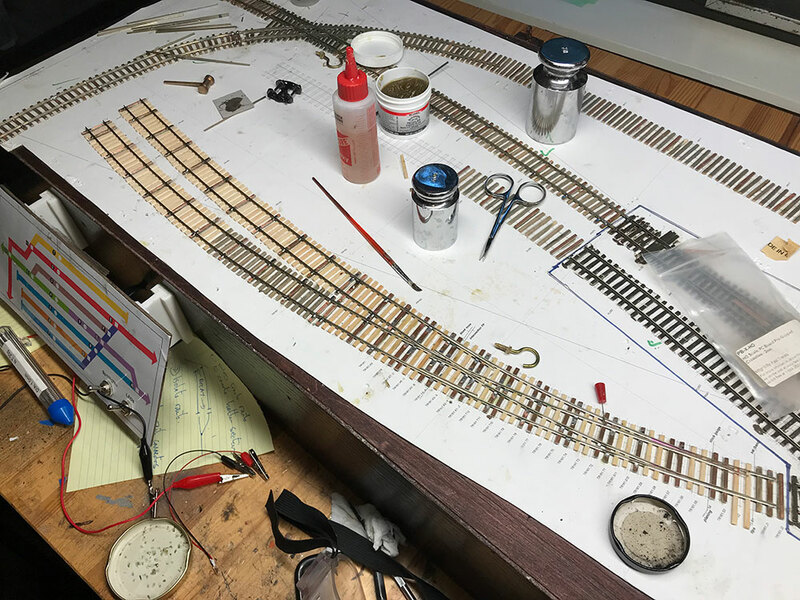 It sometimes has meant removing rail and adding new ties but the goal is to lay the rail in complete and isolated sections wherever possible. 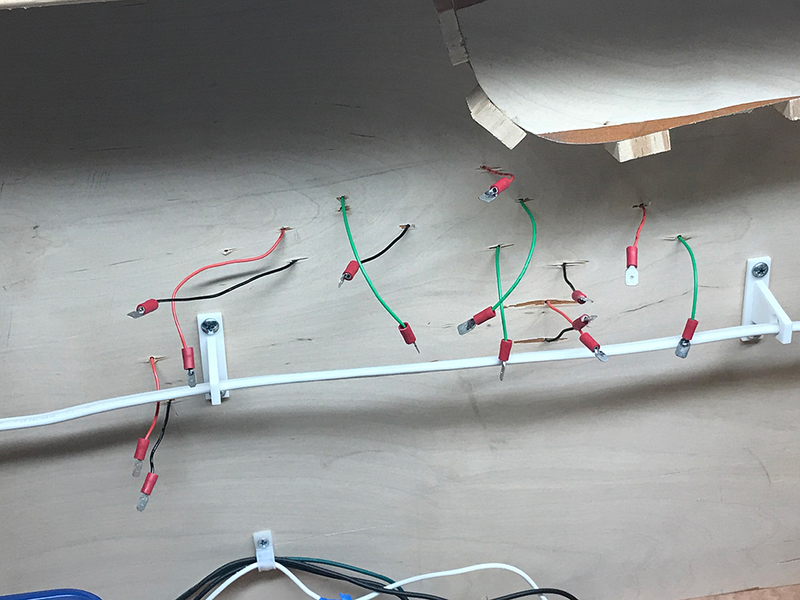 The various tracks that will comprise a single wiring section will be powered by a single bus connected to an on/off (SPST) switch. There was no doubt that the brackets were going to do a good job. My task was to sand them down so that the controller attachment slid nicely and easily into the board attachment. I managed to set up the internal AC electrical system which provides power to the DC adapter/s and the lighting system. I built the lighting system a while ago but had housed the switches in an ugly box that protruded from the front. I removed this and have now located the switches on the control panel. Power comes into the module using this adapter which itself connects to the mains.